Samsung and Apple are on course to gratify their Diwali wishes to Indians by showcasing them with their Telecom Gifts of Smartphones – Gifts for a change to drain the customers’ wallets while acquiring though ! The chief aim of the two Smartphone Giants is to kindle the spirit of knowledge of people who on this occasion bejewel themselves and their doors with flowers and maize. Along with the delicacy Kajjaya to fill the stomach, it will be a good occasion too to fill the grey cell activity with their products. Samsung introduced the Galaxy Note 4 and Gear S ( its smartwatch ) today in Delhi while Apple will introduce the iPhone 6 and iPhone 6 Plus to the Indian public on October 17, 2014. Stores are already getting busy keeping their shelves ready and neat for the big show providing big profits. 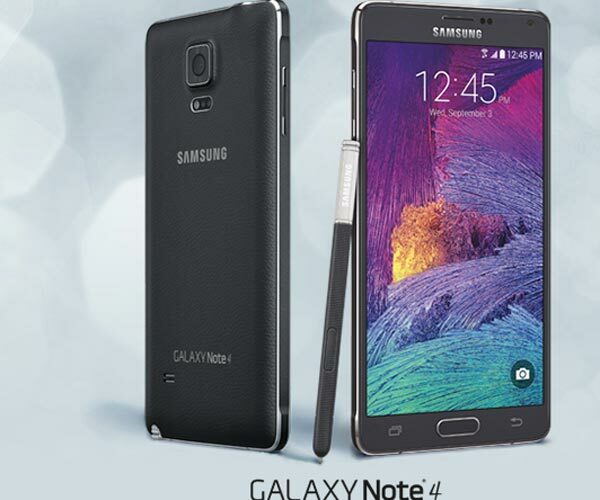 What is obvious : Galaxy Note 4 has a 5. 7″ Quad Core HD ( 2560 X 1440 ) Super AMOLED display; it has a metal frame, short textured back cover; 16 MP rear camera with Optical Image Stabilization and 3. 7 MP front camera that claims to capture 60 % more light; better multitasking experience; improved fingerprint scanner; S Pen which can work as a mouse cursor; the phone can be charged faster and comes with ‘less power consumption’. For those used to browsing web pages frequently and downloading media content it is a blessing, invoking the favor of GOD on this auspicious day ! Current market in India : Indian “smartphone generation” is making itself more visible, enterprising, and showy now. They want to use the best in the market in terms of modern electronic gadgets. On the other hand, a majority of Indian customers are not always willing to pay a higher price for a high quality product if the ‘price’ is a deterrent. This presents the giants with Challenges and Opportunities. Also Indian consumers are more knowledgeable to choose by a better product, better price, better distribution by the company, better services, better options etc. 1. At a time when the customers’ predisposition to smartphone and phablets are shifting to the medium and smaller players in the segment, the two giants with Big Brands are presenting their high-end products to them. Fighting brands are emerging in Indian market at a rapid pace, specially in recent years ( Moto E, G, X ; Lumia series; Micromax, Karbonn, Spice – Android One – Xiaomi … .. . ) Every manufacturer worthy of showcasing a smartphone is now bullish on India raising the heat of competition. Hence there is need and compulsion for new strategies to enhance their stature consistently. I see the root of this lying in the “P” strategy of Price and Promotion. 2. At no time has the positive public image of a company and its products has been more important and decisive than now in India, which is seeking the determined path of a transformational environment encompassing fairness, justice and the real benefits of products in business. Hence, an organized effort of Public Relations to hammer the much needed image is paramount. A high price shift to cover the costs cannot be overlooked by the two giants, however, irrespective of the compulsions otherwise. New age young professionals are often attracted to the idea of “Power” and luring this segment with “power communications”, “power meetings”, and “power conferences” is vital. ” One Touch, One Sight, One Voice – One Purchase “. ” Suniye, Dekhiye, Lijiye … … .. . ” . ” Apne haath, apne saath “ . Till now, in this smartphone war between Apple and Samsung flanking maneuver is perceptibly missing with an unclear edge to either of them. ” Brand Prestige ” of the two players will be put to the litmus test this time, more than ever before. Who’ll emerge stronger in eliminating ignorance over knowledge, and despair over hope during this Diwali in India is what the customers will watch eagerly ! Tidbit : ” Competition is the life of Trade; but it could also be the loss of Profit “. – Anonymous. N.B : For reference and observations pertaining to iPhone 6, and iPhone 6 Plus, kindly follow the articles below in the same blog : 1. 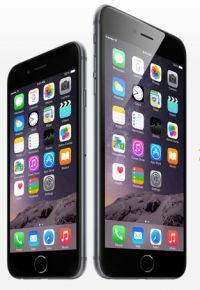 “Apple : The Chakravarthy of Tech Prowess, Awaiting September 9, 2014” – published on September 8, 2014. 2. 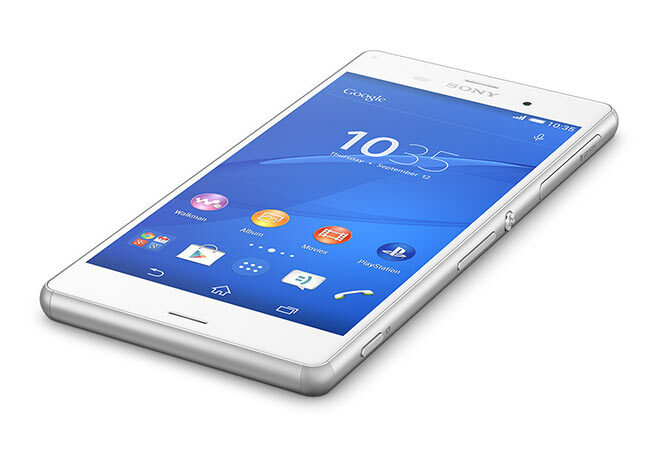 “Searching for the Dream Smartphone – 2014 ” – published on September 24, 2014.